During CES 2011 Unveiled, Skatter Tech had a chance to meet up with Mophie. Their representatives were kind enough to hand us a Juice Pack Air for the iPhone 4 to giveaway to our readers. However, here’s the twist. 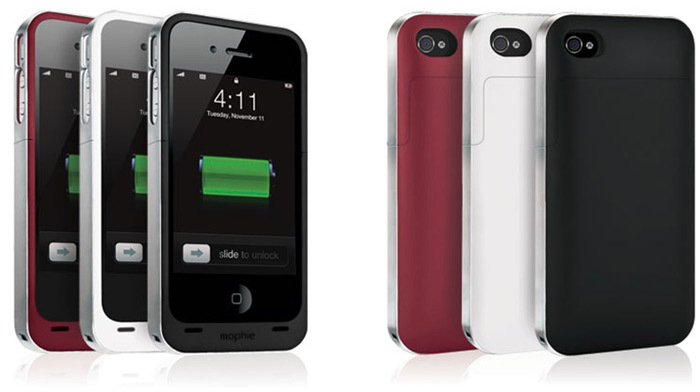 If we reach our target of 200 entires, we will also giveaway a Mophie Juice Pack Air for the iPhone 3GS, to another lucky reader from the same pool of entries. So yes, your chances of winning a battery-powered case actually increase if you get your friends and family to signup as well. Feel free to use our handy share widget on the right column. Read our full Comment Policy here. That’s pretty much it. This contest will remain open until midnight (Pacific Time) on January 12th, 2011. Winner Selected: Congratulations to Andrew Hall from Texas!